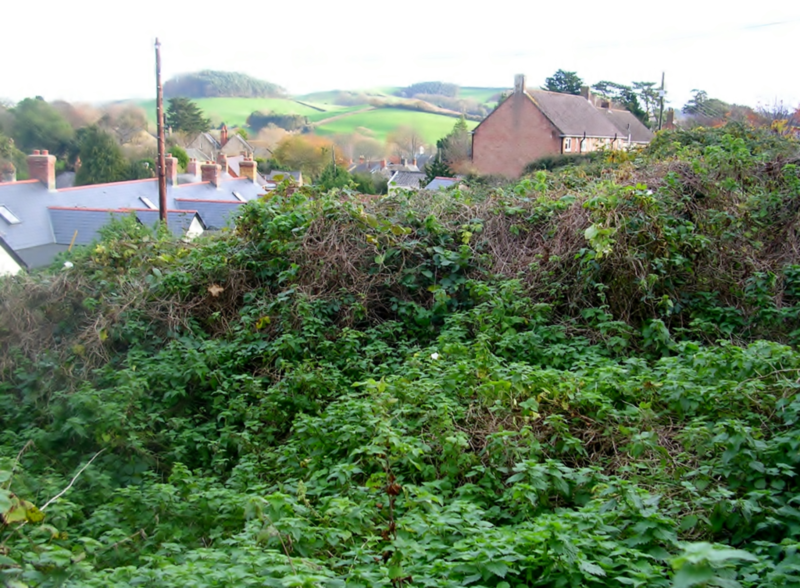 Alongside the conservation area of Bradpole Village, lying behind the Badgers Row Cottages, is a small wildlife area owned and managed by WDDC/DORSET COUNCIL. The wildlife site is being created in accordance with the planning obligations relating to the construction of the Badgers Row Cottages. Whilst Bradpole Parish Council does not have direct responsibility for the site management it did in 2018 seek from local residents, and pass to the Local Authority landowners, a consensus of views which included wishes for a low maintenance regime, the planting predominantly of shrubs rather than trees and the respect for the security of adjoining properties. Work commenced in early 2019 initially to clear the site. The wildlife plan will take a some time both to complete and to become established. Jan 2019 – Work commences on site preparation, compare this photo to that above taken last year. The intention for the site includes objectives for: enhancing the area for wildlife likely to use the site by avoiding formalised planting of garden or border shrubs not normally found in a natural meadow/copse environment. The creation of a hawthorn dominated hedgerow to separate the area from adjoining properties. A minimal maintenance system preventing disturbance to existing wildlife. A system that is sustainable in the long-term. A stile has been placed over the boundary fence to allow access to the site. In due course, and as the annual maintenance regime is applied, it will be possible to cut a path between the longer grass areas to link to the existing lower path. This wildlife area will have a direct link to the Parish Council owned wildlife corridor at The Gore. See Parish owned Green Spaces.